Looking for a fresh spin on Nicole? 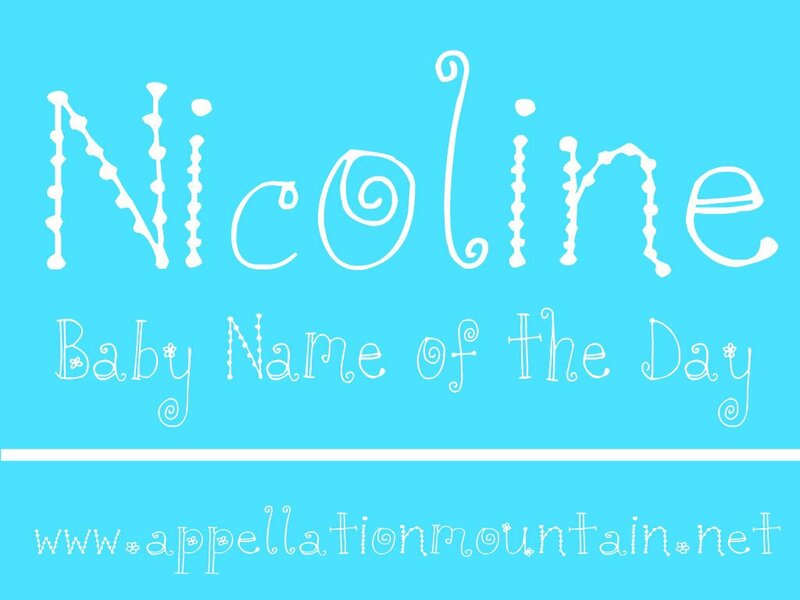 Thanks to Sarah for suggesting Nicoline as our Baby Name of the Day. Nicholas is a classic pick for boys, and Nicole was a Top Ten staple in the 1980s. That puts Nicole squarely into mom name territory today. But let’s say you’re after a way to honor one of the many people named Nick or Nikki. Possibilities abound. Nicoline sounds like a nouveau invention, a combination of Nicole and the popular -ine ending. 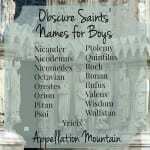 It’s true that this is a feminine form and elaboration of Nicholas, but she has a longer history of use that you might imagine. Nicoline appears in the the Netherlands, Sweden, Norway, and Denmark. She’s very rare, but not unknown, in France, where Nicole was a hit in the 1940s. (Another diminutive form, Nicolette, appears to have been slightly more popular.) Of course, it’s difficult to say how many of those Nicoles could have answered to Nicoline as an affectionate short form – probably a few, possibly more. You might also stumble across Nikoline, Nicholine, Nicolina, or Nikolina. She may have been used as an affectionate form as early as the Middle Ages, but the first definite use of the name is in early eighteenth century Denmark. Nicoline remains reasonably common in Denmark today. Nicoline Tuxen, born in 1847 in Copenhagen, the daughter of Lieutenant Commander Nicolai Elias Tuxen, who had a key role in the Danish navy. Nicoline became a painter. Nicoline Luplau, better known as Line, was a Danish suffragette in the nineteenth century. Nicoline Artursson is a Swedish model, and represented Sweden in the Miss World 2011 pageant. Miss Mabel Martine Wisse Smit married Dutch prince Friso and became a member of the House of Orange. Mabel has a sister called Nicoline, and the name was used as an extra middle for the couple’s younger daughter. In the natural world, there’s a type of Japanese quince – a spiny, flowering shrub – known as the Nicoline. Add it up, and Nicoline is a rarity with a familiar feel. On the downside, she sounds an awful lot like nicotine: nih ko LEEN. And yet there’s the possibility that she’ll hear her name pronounced nik oh LYN or nih ko LINE, just parents of girls named Caroline and Emmeline report. But if you’re after a name to honor a Nicholas or Nicole, something with a European feel, something just a little bit different, then Nicoline hits all of those marks. 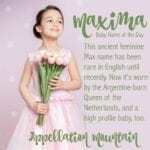 It was fun finding this post because my family has endearingly called me nicolina since I was a toddler. My full first name is nikki and I’m Italian so clearly nicolina stuck. My husbands name is nick (Nicholas) and when we got engaged the baby name jokes obviously were never ending. We definitely didn’t give our first born anything with a nick in the first name but her middle name is Nicole and if she was a boy his middle would have been Nicholas to keep the names going. 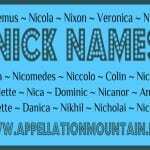 I like the idea of having different forms of nick, Nicole, nicolina, etc as the middle for all of our kids- but was running out of nick names (no pun intended). Very fun to read this post! Thanks for the write-up! My first thought was, “Oh, that’s pretty! I’ll put that on the list!” … Then the morning coffee kicked in and realized that Nicholas probably doesn’t need a sister named Nicholine. A friends mum is Nicolee. But I think you’re right about the nicotine thing — “nicotine” was the first word to pop into my head upon seeing that image. Then again, I imagine many people would shorten the name to Nicky, so maybe it’s not such a big deal.